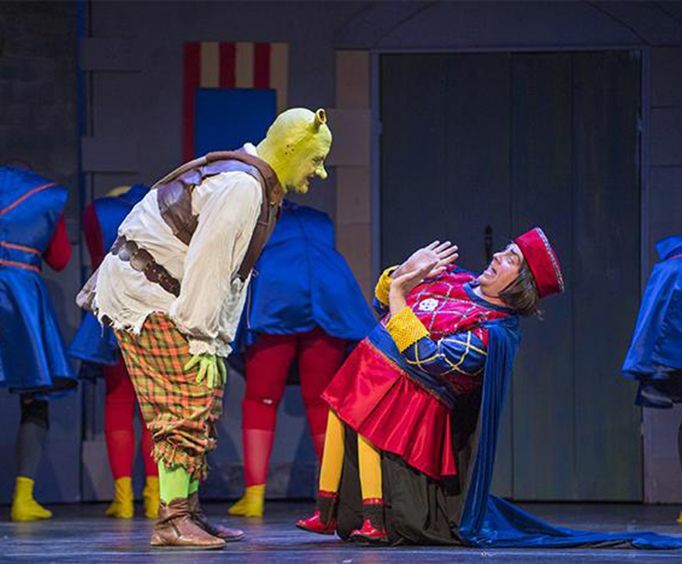 Head to the amazing Wek Resorts Theater in Branson, MO to see Shrek the Musical. This beloved movie truly comes to life on the Ozarks stage, offering tons of fun and great entertainment to guests of all ages. This popular movie turned musical is sure to be a blast, offering up a fun and fantastic story that everyone will be able to enjoy. Head to the swamp and join beloved ogre, Shrek, as he meets Princess Fiona and sets out on a quest to save her from the horrible Lord Farquaad. 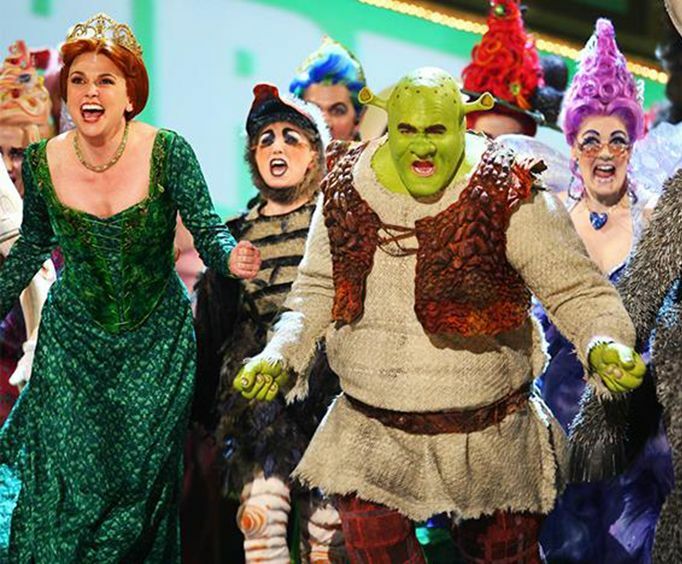 Join Shrek, Donkey, Fiona, and all the crew for an amazing time at this magical show. The show features a talented cast and a brand new original score. Combined with the expertise and entertainment quality of the Welk Resort Theatre, this show will be one that you will not soon forget! The Welk Resort Theatre is one of the most well-loved theaters in Branson, MO. This performance venue features a variety of entertainment throughout the year including live limited-engagement shows and music concerts. The theater features amazing and spacious seating and can accommodate an impressive 2,300 guests. You can find the theater inside the beautiful Welk Resorts Branson. Make sure to see one of the theater's awesome shows the next time you are in the area. 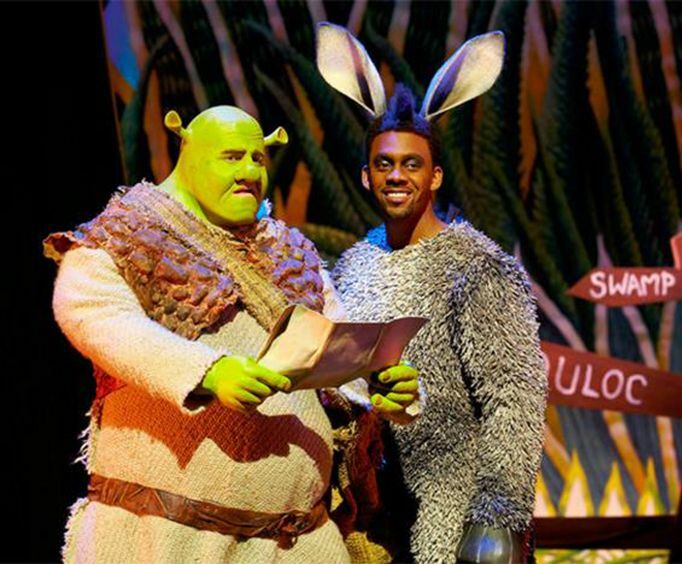 Bring some brand new fun for the whole family to your summer with Shrek the Musical in Branson. This whimsical tale will delight all ages with its talented cast and original music, and you won't forget the memories made! What is included in the admission price for Shrek The Musical ? Approximately how long is the Shrek The Musical ? What is the length of intermission at Shrek The Musical ?